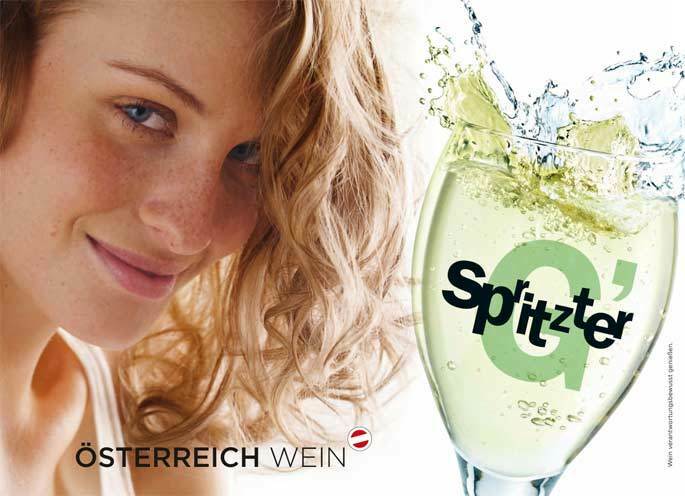 Though it’s traditionally known as a summer drink, there is a never a bad time to have a white wine spritzer, or G’Spritzer as it’s called in Austria. We love, love, love our wines so let’s be clear – the spritzer is not about watering them down. In fact, Austrians will often choose aromatic grapes such as Gelber Muskateller in place for the traditional Gruner Veltliner to enhance the aromas. Traditionally consisting of a glass of refreshing, chilled white wine with an equal measure of soda or sparkling mineral water. Whether enjoyed as an aperitif, with a meal or by itself as a thirst-quencher, the quaffable G’spritzter has become a popular and varied refreshing drink. The spritzer is a perfect aperitif option alongside light appetizers and can be casually sipped through the day. Added bonus: you’ll be hydrated as you sip the spritzer and due the low-alcohol of the drink, you can have many more than you might traditional wine glasses without making a fool of yourself.